The Hunter 5.4 Changes, Good or Bad? Classes, Hunters, Patch Notes Comments Off on The Hunter 5.4 Changes, Good or Bad? 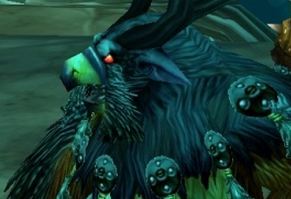 As with all the classes, the Hunter 5.4 changes are numerous. Some are pretty big (Readiness,) some are buffs or nerfs, and a few are just “quality of life” type stuff. So read on for the details. Nate that tool tips (hover over the link) show the 5.4 patch info. (For all the official 5.4 patch stuff go here.) 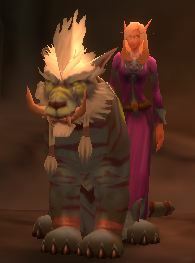 To get to level 90 ASAP and kick Hellscream out of Orgrimmar, go here. New! Counter Shot is now a baseline interrupt ability learned by all Hunters at level 22. This makes up, somewhat, for Silencing Shot being removed from the talent trees and given to Marksmanship as an ability. Dead! Readiness has been removed. Given the massive burst that people were using it for, maybe it needed to be removed. 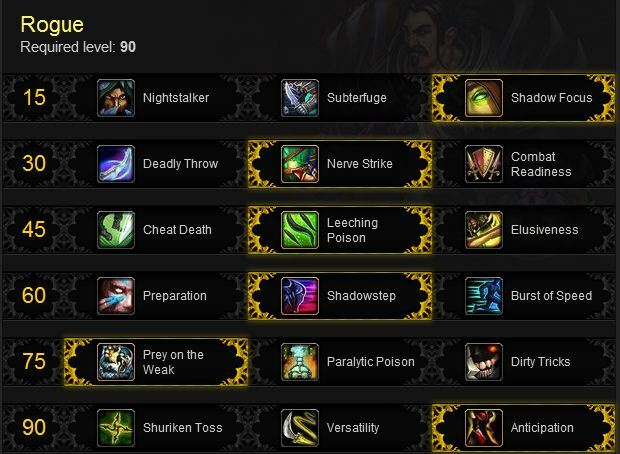 Various other abilities have been buffed to make up for some of the change. It’s probably a great change for game balance, but will force you to work a bit harder. Arcane Shot now deals 125% ranged weapon damage (up from 100%) and had its focus cost increased by 50%. So it now hits harder and you’ll be tossing off fewer than before. You’ll get a harder hitting strike. Deterrence now has a 3-minute cooldown (up from 2 minutes) but has 2 charges. This makes it more flexible than before. Need to use it and then again in 30 seconds? Now you can. Disengage now has a cooldown of 20 seconds (down from 25 seconds). This is a nice change. Explosive Trap had its overall damage decreased by 30%. Proportionately, more damage has been removed from the initial damage than the periodic effect. The glyph is unchanged and causes it to do knockback, which may be more useful anyway. Hunter’s Mark now has a duration of 20 seconds while in PvP combat (down from 30 seconds.) No change for PvE and PvP doesn’t need a 30 second mark anyway. 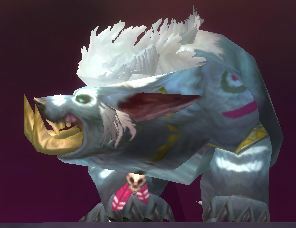 Revive Pet no longer requires the Hunter to have line-of-sight to their pet. This is a nice “style of life” change. Stampede damage dealt by pets when the ability is used outside of an Arena or Battleground is no longer reduced by 75% (The tooltip is wrong.) It now does full damage anywhere else, such as PvE and World PvP. 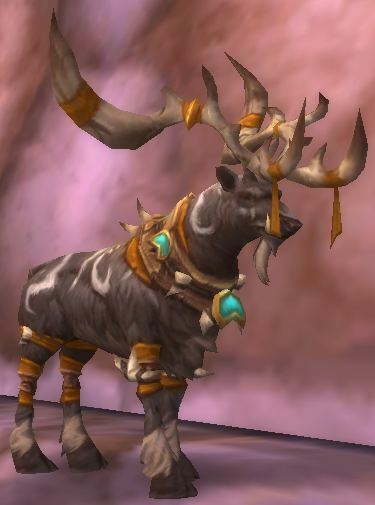 The following Hunter pet abilities no longer cost Focus to use: Dash, Dive, and Charge. This gives you more incentive to go ahead and use them at the start of a fight. Beast Cleave‘s range has been increased to 10 yards (up from 8 yards.) Great for burning down larger groups. Kill Command damage has been increased by 34%. Another useful buff. Aimed Shot now deals 450% ranged weapon damage (up from 350%.) Ouch. Combined with your Careful Aim you will be doing major damage with your openers. Binding Shot is no longer a Marksman Hunter ability and is once again a talent. Silencing Shot takes it’s place. Explosive Trap no longer shares a cooldown with Black Arrow, which is good, but can no longer activate Lock and Load. Sigh… Well, you’re get by. A Murder of Crows now deals 40% more damage. This makes it very competitive with the rest of the tier and might make it the “go to” talent (for long fights) of the tier. Aspect of the Iron Hawk now reduces all damage taken by 10%, down from 15%. 5% more damage won’t kill you (maybe,) but it will hurt a bit. Note that Spirt Bond was buffed. Lynx Rush‘s damage has been increased by 30%. Sweet. With the boost to Murder of Crows this tier has become more interesting. 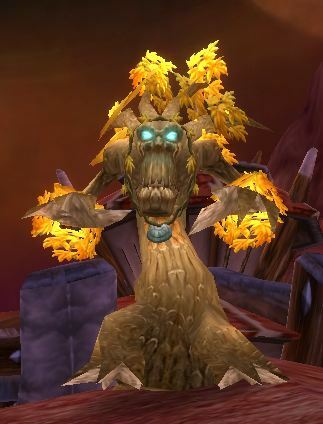 Narrow Escape‘s root effect is now a nature spell (was a physical spell.) This will make it easier to dispel. Silencing Shot is no longer a talent and is now an ability that replaces Counter Shot for Marksman Hunters. Other Hunters still have that Counter Shot for interrupts. Binding Shot is no longer a Marksman Hunter ability and is once again a (level 30) talent. Glyph of the Lean Pack: Reduces the range of Aspect of the Pack to 7 yards. Are there some of you that like smaller packs? Glyph of Mend Pet now has a 100% chance of cleansing 1 Curse, Disease, Magic or Poison effect from the Hunter’s pet on each tick (up from 50% chance.) This can help pet survival in certain situations. Glyph of Mending now speeds up the periodic effect of Mend Pet to restore health to the pet every 1 second doubling the total amount healed over 10 seconds. Very nice change, a big boost for your pet. Glyph of No Escape now increases the ranged critical strike chance against targets affected by the Hunter’s Freezing Trap by 100% (up from 20% chance.) Ouch. This may become a required buff depending on how often you use Freezing trap. This guide is a collaborative effort with Necrolina, produced by SkillCapped. All of our written guides are available for free, and we encourage you to post them wherever you’d like as long as you use a link back! Note: This guide was originally for patch 5.2 and has been updated by me for 5.3. Here is the original page. Also this guide assumes that you’re level 90. If you’re not yet there, then go here and get there. Healing spells always land on your target, which makes Spell Hit rating obsolete for healing spells. Holy Paladins also have Holy Insight, which is more than enough additional Spell Hit to reach the 6% Spell Hit cap when trying to assist in damaging your team’s kill target, Holy Wrathto reduce damage output, or land a timely Hammer of Justice. It is also of note that although it is not mentioned in the tooltip, Hammer of Justice, Blinding Light, and other control abilities, benefit from Holy Insight as well. There are no “Mandatory” stats for Holy Paladins. Intellect increases your spell power and chance to Crit with spells. In previous expansions, Intellect also had the added benefit of increasing your mana pool, but mana levels are now static in Mists of Pandaria. Increasing Intellect will increase your healing throughput and your heals will return more health to your target per spell. In addition, Critical Strike is one of our top priorities in terms of secondary stats! In Mists of Pandaria, mana pools have been capped at 300,000 mana and can no longer be increased by stacking Intellect. Spirit increases the rate at which mana regenerates. While mana efficiency is pretty solid for Holy Paladins, Spirit helps to ensure your mana pool is not depleted over the course of a PvP encounter. PvP Resilience reduces the damage your opponent does to you. In a PvP scenario, increasing your damage or healing output is amazing, but decreasing the amount of damage you take can dictate how a PvP scenario plays out. You can’t heal if you’re dead! In patch 5.3 Resilience has changed. The value of the gems has been cut in half (320 to 160) and everyone enters PvP with a base resilience of 65%, regardless of gear. In addition, Res. has been removed from most high end gear, though it’s still present on low level gear. PVP Power increases all of your healing against other players. This additional healing increases linearly and does not fall subject to diminishing returns, making this stat more and more effective as you gear your character. The additional benefit to healing spells is 50% of the damage increase PvP Power provides for dps classes, making this stat a bit less enticing for Healers, but still an effective throughput stat. PvP Power was also nerfed in 5.3, by a third, and the gems values were also cut in half. The PvP Power on your gear will be fine, but don’t gem for it. Holy Paladins benefit from Mastery: Illuminated Healing, which creates an damage absorb shield on targets you cast direct healing effects on. This increases Holy Paladin throughput by a significant margin, as the overwhelming majority of Holy Paladin healing spells are considered direct healing. Mastery is an excellent secondary stat to allocate into. Critical Strike, or Crit, is another decent stat to accumulate for a Holy Paladin. Critical Strikes when using Holy Shock activate our passive Infusion of Light. The reduced cast times on Holy Light, Divine Light, and Holy Radiance makes topping off you and your teammates much easier, and can make a huge difference in how a PvP encounter plays out. Haste reduces the cast time of your abilities and reduces the duration of the Global Cooldown (the minor cooldown that is invoked after casting spells). Haste helps to ensure your important spell casts go uninterrupted (Holy Light, Divine Light, etc. ), an important factor in PvP, as there are several interrupt mechanics in the game. Although beneficial, the reduced cast times do not justify allocation out of other important secondary stats. Here we will be explaining exactly how to obtain, and what the optimal gear choices are while building up your character. While you are accumulating gear, it is important to recognize that until you have your completed set, your stats will constantly be changing. It is extremely important to be mindful of what stats are most important for your class as you work towards your optimal set, and make item selections based on what will have the most profound impact on your performance. Always try to accumulate as much PvP Resilience as you can until you are in the best gear Season 12 offers. Being able to survive with enemy players on you is going to be extremely important. Without proper peeling techniques from your partners, you can be in trouble very quickly, so it is not advised to prioritize Intellect (or other throughput enhancing stats) until you reach a decent PvP Resilience level. It is unnecessary to work for more resilience, unless you feel the need for it. With the base 65% and your heals you should be fine. Mana efficiency is another concern, and maximizing your energy regeneration and throughput will also help to extend your life and the life of your partners. While stacking Spirit does help with this (and recommended), it is important to try and find a balance of Spirit, Intellect, and PvP Power that works with your play style. Remember, more Intellect means higher heal values, which will result in less healing necessary to keep your team topped off. These stats reflect what we have researched and believe to be the best obtainable stats for Season 13 using Conquest gear with the Elite gear set. These stats are here to give you a benchmark as you work towards completing your gear set. 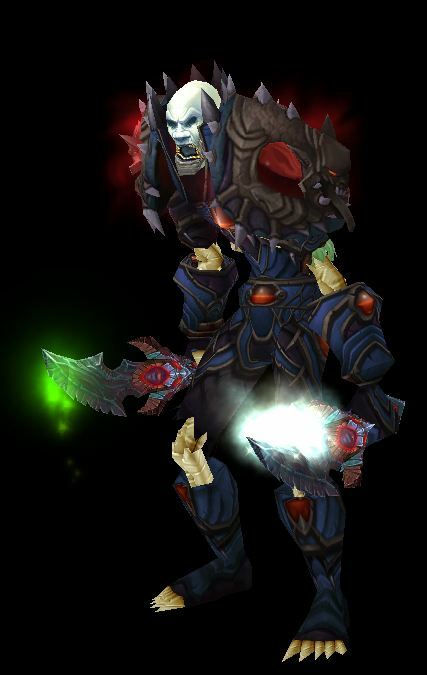 Note: in patch 5.4 this will all be Malevolent Crafted gear, though the gemming and reforging should be the same. Gloves are a solid first acquisition. Despite not having the highest stats available, many Paladins argue that the percent chance for your Flash of Light is well worth the lower stat levels when compared to other items. Tip 2: Gemming and enchanting this gear is not really necessary, since (ideally) you won’t be in it very long. If you do want to gem & enchant it, and have the gold, then scroll down to the Conquest gear for recommendations. The short answer: 0/2 Malevolent Season 12 gear is roughly in-line with Malevolent Season 13 gear. 1/2 and 2/2 upgraded Malevolent Season 12 gear is better than Malevolent Season 13 gear. The detail: Not only is there a new arena season in patch 5.2, but also new PvE content. Blizzard did not want Honor PvP gear to have the same (or higher) item level as the PvE gear available from the Looking For Raid system. The decision was made to reduce the item level of the Malevolent Season 13 gear available for purchase, while increasing the Stamina, PvP Power, and PvP Resilience values to offset the differential. Season 12 gear that was earned last season is not effected by the change. If you did not participate in Season 12, honor gear should be accumulated to increase your characters power. The stat differential going from the Crafted Dreadful set to Malevolent Season 13 gear is significant and will greatly increase you chances of success in a a PvP setting. Malevolent season 12 gear that was not upgraded is essentially in line with the Malevolent season 13 gear. The differential between 0/2 upgrade Malevolent season 12 and Malevolent season 13 gear is miniscule, if any differential at all, so it is NOT NECESSARY to upgrade. If you have any upgraded season 12 gear (1/2 or 2/2), those pieces will be superior to the lower item level gear available for honor and those items should be retained. If you did not participate in season 12, you should upgrade your gear using the Malevolent Season 13 set available at the honor vendor. Below you will find a list of all of the honor gear pieces you can obtain. They are listed in order of their stat benefits to you. That is, if you go follow this list in order, you will get the best stats first. This is not a huge deal in the grand scheme of things, but we feel if you are going to gear up, you might as well do it in an efficiently as possible. If you already own the Season 12 equivalent of this gear, simply skip over that item and proceed to the next! Take the first gem if you feel like you need more spirit, the second choice is for more healing power. Red: Purified Imperial Amethyst for the spirit or Brilliant Primordial Ruby if your mana is good. Belt buckle and Blacksmithing sockets: Purified Imperial Amethyst for the spirit or Brilliant Primordial Ruby if your mana is good. For enchants scroll down to the Conquest gear for suggestions. Head, chest, and legs are all comparable. The order here was chosen due to the Mastery and Haste values on the Legs. The Chest is next due to its sizable Spirit allocation. Once you have earned 7250 honor points in Season 13, you may purchase your weapon, by far the largest damage increase you can purchase. The main hand/Shield combo offers the best stats for a Holy Paladin. The Helm has a sizable Mastery weighting and benefits from a meta gem slot (Ember Primal Diamond is a strong choice here). 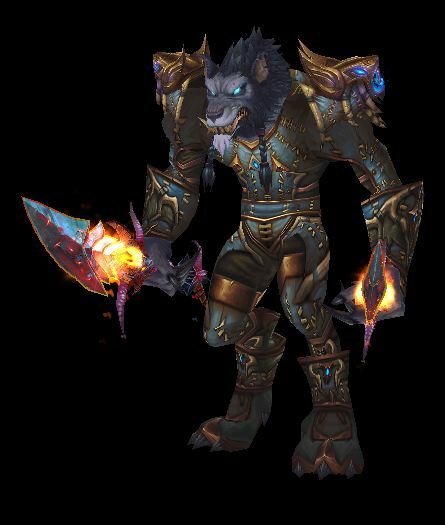 For the next tier, shoulders offer the largest upgrade with high Mastery and Spirit allocations. The Boots offers both Spirit and Mastery, two very important stats. High Spirit values make the Belt a strong addition. You can also add a Living Steel Belt Buckle for an additional gem slot. 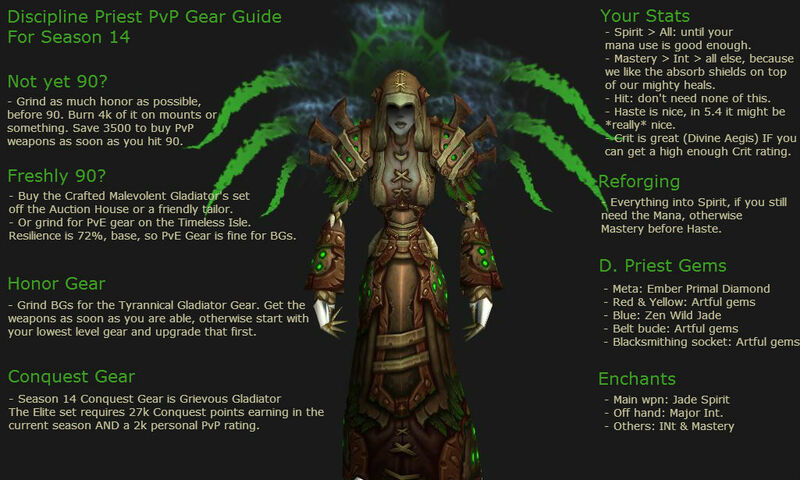 Purchase the Wrists and Cloak next, followed by the Neck piece. PvP Power does not benefit healers as much as it does for dps classes, as PvP Power’s effectiveness is 50% of the benefit awarded for healers when compared to damage dealers. If you have the cash flow, buying the Crane Deck and completing the quest for the Relic of Chi Ji yields better performance than PvP trinkets (due to the high passive Intellect and the massive Spirit buff proc). If you cannot afford the Darkmoon Fair trinket, use Malevolent Gladiator’s Emblem of Meditation for the added survivability, or Malevolent Gladiator’s Badge of Dominance for the additional throughput awarded. Due to this item’s lack of primary stats, this should be your last pick-up, provided you have a PvP trinket from a previous season. 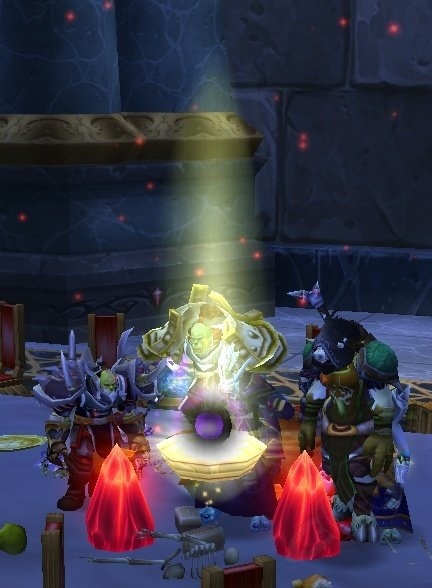 The Meditation trinket is used to ensure our Spirit levels stay high enough to prevent mana concerns. If you do not already have a trinket that removes movement impairing effects, THIS SHOULD BE YOUR FIRST PICK-UP. This season, there are two tiers of conquest gear. In hopes of creating a more level playing field, Blizzard has decided to do away with rating requirements for all items (except for a weapon enchant to help differentiate players that have attained a high rating). This means that all players will have access to the best PvP gear available, provided they earn enough conquest points to purchase the items. The second tier of conquest gear, or “elite” gear, is only available for purchase once you’ve amassed a certain number of conquest points for this season. Once 27,000 Conquest points are earned, it will unlock the “elite” tier gear. It is also important to mention that a new honor quartermaster will also be made available, which will have the non-elite gear available for honor points! This will be of particular value to hybrid classes, as they can participate in Battlegrounds to purchase their off-set PvP items. If you have a mix of upgraded and non-upgraded gear from last season, prioritize the gear that has NOT been upgraded. The stat gains will be greater. Go here if you need help getting enough gold for all your stuff. Meta: Ember Primal Diamond Adds significant Intellect and also increases your mana pool – the only way in the game to do so. Revitalizing Primal Diamond adds to your spirit and the healing done by your crits. Head enchants were taken out of the game in Mists of Pandaria! Greater Pearlescent Spellthread can be found on Auction House, or crafted by a Tailor if that’s too expensive. Elite Gear is available for purchase after earning (not necessarily spending) 27,000 Conquest Points. Any piece of gear that actually alters the appearance of your character will have an Elite upgrade (in other words – chest, helm, legs, shoulders, gloves, belt, boots, and weapon). Remember, once you earn 27,000 Conquest Points this season, you will also be able to purchase Non-Elite Conquest gear with Honor Points! This is of particular value to hybrid classes that would like to switch specs, from say a healer, to a dps class. Instead of having to use additional Conquest Points on your off-spec gear, you can farm Battlegrounds for your gear! Note: the 27,000 Conquest Point threshold is essentially a full set of conquest gear. Follow the same gemming and enchanting template that was used in the previous section. These items are already owned – Congratulations! You are fully geared! Our goal is to give you the absolute best gear set up you can achieve as a Holy Paladin in Season 12, and part of that is choosing the right professions. Before we tell you what the best professions are, we should note that when comparing professions, there is a very marginal benefit to your overall gear set, and you should not sacrifice a profession you really enjoy for the sake of a minor stat increase. Leveling a new profession can be costly! This is the best Profession for a Holy Paladin because of the two extra gem slots that can be used to refine your stats. Blacksmithing offers you the best customization, as you are able to increase primary stats, along with the freedom to choose various secondary stats, such as Mastery, Spirit, or even PvP Power and PvP Resilience! Other professions simply do not offer this much customization for your character. Jewelcrafting allows your character to use Willful Serpent’s Eye in two of your red slots. This offers you a boost to survivability along with some added damage. Mysterious Serpent’s Eye is also available to add even damage and healing throughput, if you feel your survivability is sufficient. Engineering has the Synapse Springs gadget, which is pretty sweet. Herbalism has Lifeblood, a massive Haste cooldown. Please let us know how the article was. Were we missing anything? Do you have any further questions? Was the format useful? Feel free to Like, Share, and Comment on this post. Should You Play a Rogue in WoW? Rogues Comments Off on Should You Play a Rogue in WoW? 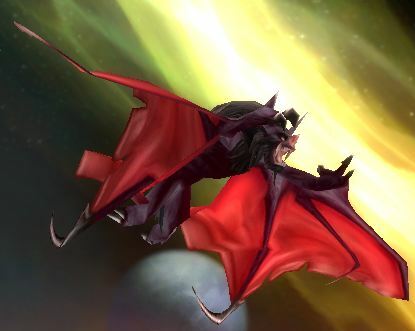 If you’re just getting started with World of Warcraft, don’t worry: you’re not too late to have plenty of fun. (In fact, we think this is a great time to be playing WoW.) But getting started can be a little tricky with all the choices you have to make. Which race you select is a primarily cosmetic choice, but the class you pick — and whether it’s a good fit for your preferred style of gaming — is a choice that will make all the difference. But we’re here to help make that choice at least a little easier by talking you through WoW’s classes, one at a time. And on the menu for today is the rogue. 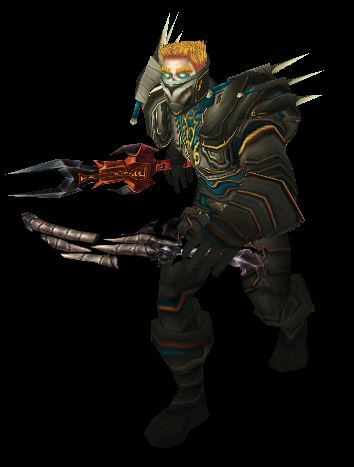 In World of Warcraft, rogues are lightly armored meleers who use stealth to get in close and then hit their target with precision strikes. The rogue is one of four classes in the game that focuses solely on DPS: their three talent specializations only changing their preferred way of dealing damage. If getting up close to the bad guys and always being in the middle of combat sounds like your thing, a rogue may be the ideal class for you. Read on for more about what to expect. Just what is a rogue? Don’t write rogues off as just another melee damage class, because rogue gameplay is definitely unique. Instead of focusing on heavy armor and heavier weapons, rogues are light on their feet with leather armor and tend to use smaller, one-handed weapons — most commonly daggers. But lighter weaponry — rogues can wield daggers, fist weapons, one-handed maces, one-handed swords, one-handed axes — doesn’t mean they aren’t hard hitting. Rogues have lots of tricks up their sleeves, dual-wielding weapons coated with poison and striking from stealth for extra damage. 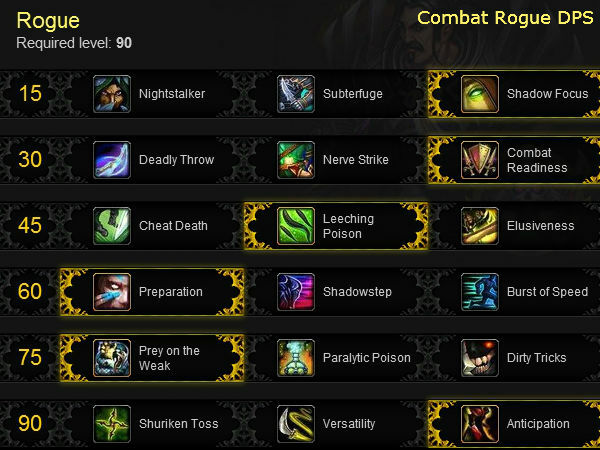 Rogues have three talent trees, just like the other classes, but each one focuses on a slightly different way of dishing out damage: assassination focuses on poisons, combat focuses on general combat, and subtlety focuses on stealth abilities. Leveling is fast and easy. Rogues maybe only surpassed by Hunters in terms of leveling speed, but Rogues are more fun, IMO. Back in June, I wrote a blog explaining the context behind some of the changes in the upcoming patch that might not be intuitively obvious. That blog ended up being one of the most popular ones we’ve ever done; even players who disagreed with the specific changes appreciated our explanations for what we were trying to accomplish. Therefore, we’d like to continue in that fashion and we figured there was no reason to wait until 4.3 was “on the shelves” to get the ball rolling. One note before I dive into things. If you haven’t read the previous blog, “Rate of Change,” now might be a good time. There are some changes that we want to make to class mechanics or balance in general that we don’t think are fair or appropriate to spring on players in the middle of an expansion. These include things like the power of interrupts or the active mitigation model we want to implement for tanks. We’ll get there, but in short term we fundamentally believe that it’s important to pick our battles. On with the show. Note that most of these changes are mechanics changes. We have not yet finished enough testing to be confident in our benchmark damage, healing, and tanking numbers for 4.3. When we finish those, and when we see what some players are capable of doing on the PTR (or even what they theorycraft or sim based on PTR numbers) there will be additional changes. Off the top of my head, I’d say Fury warrior damage is almost certainly too high and Resto druid AE healing (ignoring the effects of Tranquility of course) is also too potent. You’ll also notice some classes aren’t mentioned at all. It’s possible we’re just happy with them, but it’s more likely we just haven’t gotten to them yet. We don’t want to hold a PTR until every single thing is done, because that minimizes test time. Part 2 goes into more details. Again, not all specs are covered and Rogues aren’t covered at all. The changes to the Mortal Strike type of effects (reduced healing on the target) should cover Wound Poison, though. There will be thousands of comments on the above posts, might as well click through and add yours. QQing doesn’t help, but if you can add some solid evidence to support your remarks, then go for it. From MMO-Champion – there seems to be some concern regarding the Lightwell mechanic. So in the interest of educating myself and the one or two others who might be reading this, here’s some info. It is the highest heal-per-mana (hpm) spell for priests. You can click it from up to 20 yards away. Clicking it will not change your target and does not trigger the global cooldown. It heals for more per tick than Renew. It can be used while stunned, disoriented, sapped, blinded or casting. Creates a Holy Lightwell. Friendly players can click the Lightwell to restore (((2878 + ($SP * .308)) * 3) * 1.25) health over 6 sec. Attacks done to you equal to 30% of your total health will cancel the effect. Lightwell lasts for 3 min or 10 charges. You don’t even need to un-click your current target. Lets compare with a more favored heal over time, Such as Renew. Lightwell costs 30% of base mana, and does 10charges or “casts”. So really its 3% of your base mana for every charge. Each charge heals 10,000 over 6seconds. You can literally be in two places at once, having your light well positioned properly. Heal ranged dps, or yourself while your to busy focusing on people who are dieing rather then injured. The ticks also tick faster [down from over 6seconds] with your haste. All you have to do is, Click.. and we will be well on our way to appreciating this spell. Did you know that You can click it from up to 20 yards away? Assassination’s looking pretty good these days, at least from my point of view. Here are a pair of builds, one for PvE and one for PvP. Naturally some talents may change depending on your exact team, raid, preferences, etc. This build is aimed at maximum DPS, not max suvivability. Nightstalker – Rank 2/2 – In theory this will allow for more “attack from stealth” situations. Think of this build as a starting point and adjust to fit your game. For example, if Improved Expose Armor doesn’t work for you then change it.